A contract is a two-way agreement and I don’t see why a future Labour government couldn’t say ‘we didn’t sign the contract’ and refuse to honour it. Maybe I am naïve and misunderstand the rules- but why should this unelected government tie the hands of a future majority government? If I sold off somebody else’s things without their ok, I’d be jailed. Sadly if they do trash the NHS, Labour probably either can’t bring it back, won’t bring it back. or both. Not only are the Tories ruining the NHS but because of a law they made, very few private dentists now use sedation which I need when I have fillings. I really, really want this government gone as soon as possible. It’s difficult not to like Andy Burnham, but I have to take issue with you saying he’s been impressive ‘from the get go’. He was a right winger in Blair’s neoliberal gang and though it’s good to see he’s moving towards a more public sector focused perspective, I really wouldn’t over egg the pudding. He hedges all his commitments to the NHS by saying they are within Ed (arch conservative) Balls’ zero costed spending plans. He is in favour of the role of the private sector within the NHS. He believes in extending the contracts and strengthening the role of the third sector (and ‘social enterprise’ is often a thin disguise for privatisation – check out corporate watch for how it’s done). He supports TTIP as ‘good for the economy’. Work by the LSE, John Hilary of War on Want, KONP and others shows very clearly the flawed nature of the projections of this supposed economic ‘benefit’. TTIP is a nightmare in the making. Encourage his moves in the right direction by all means. But disproportionate praise for Labour for something they haven’t done yet, while they fail to acknowledge their own contribution to the destruction of the NHS, makes me uneasy. They may start thinking they’ve gone far enough to please the voters already, and they haven’t done that by half yet. “From the get-go” in this case refers to the beginning of the current age of darkness under the Coalition government. What do you mean by “zero costed spending plans”? ALL Labour’s spending plans have been thoroughly checked for cost and if Burnham has said his NHS promises are within the limits of those plans, it means they can be done from the start of a Labour government and won’t have to wait a year until Labour is free of contractual obligations left by the Tories – which appears to be the reason for the promise not to increase spending. If Burnham is in favour of the private sector within the NHS, why has he promised to repeal the Health and Social Care Act 2012 and kick out private operators? Regarding TTIP, he has said that the NHS must be exempted from any agreement if it is signed, which is Labour policy. I agree that the TTIP is a nightmare but on the NHS, Labour is doing the right thing. Finally, Labour HAS acknowledged that its own decisions helped create the situation that allowed the Coalition to do what it has done. That’s why Andy Burnham wants to turn the tide in the opposite direction. Sadly the reason for no increase in spending is because Ed Balls’ economic policy group is firmly wedded to austerity and the aim of achieving a ‘surplus’. This is now considered to be a proper goal of government. Apparently both sides think this proves they are ‘responsible with the economy’. A surplus is not a piggy bank stuffed with cash. In Keynsian econonomics a surplus is a tool to shrink an overheating economy. In neoliberal economics a surplus is a tool to shrink the state. You can’t ‘do the right thing’ on TTIP by ‘excluding’ the NHS. It is difficult to see, with the onion skin layers of market-reinforcing legislation that lie in CETA, TPP, TTIP and TISA, not to mention existing rules in GATS and the WTO, how any such exclusion could be achieved anyway. There is nothing good in these Agreements. This is about the market writing our legislation for us – a real attack on democracy. Labour should be opposing TTIP and making the arguments to people so they understand why. But they won’t because, amongst other things, it makes them look anti Europe, which they aren’t. If Burnham is not in favour of the private sector why is his office writing to people to say that ‘there is always a role for the private sector in the NHS’? Why are they talking about strengthening and extending the role of the third sector – read Caroline Molloy’s article in openDemocracy for a thorough debunking of the idea that this is less dangerous to national planning and universal access than the private sector. And I’d like to know where you think Burnham says in any policy document that he’ll ‘kick out private operators’. Why did Ignacio Garcia Bercero write a letter to John Healey spelling out how the TTIP works in simple language? Bercero is chief negotiator on TTIP and Healey the chair of the All Party Parliamentary Committee, are they really communicating at this basic level so far into the negotiations? The letter is being used by Labour as a guarantee of exclusion for the NHS. It is no such thing. It is, therefore, worrying that Labour says it is. Do I think Labour are better than the Tories? Indisputably yes. Do I think that we should stop fighting to get Labour to change its approach to some fundamental questions of social solidarity before May 2015? Absolutely not. Thanks to Nick Clegg, and his need for to gain a little power, we were left with a government of thoughtless, heartless, greedy individuals who think they have the right to ride rough shod over the ordinary people. The health service was even sacred to Mrs Thatcher, but unfortunately not to this mob. 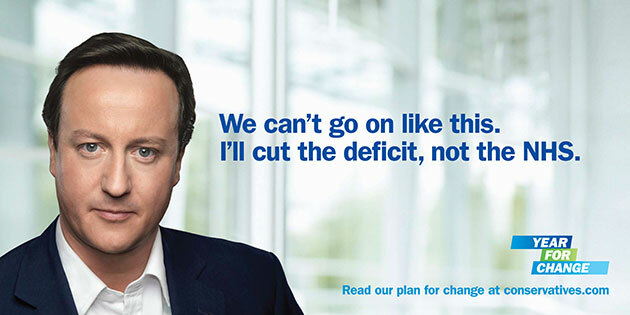 Sooner they go the better….thanks Mr Clegg…you`ll get yours. You’re mistaken about Mrs Thatcher. She wanted to privatise health but did not believe the time was right during the 1980s. When the next election comes around the Lib Dems are going to be reduced to not much more then a husk of a party by the angry voters. Im my opinion the Tories are selling off something which does not belong to them in the first place. The NHS belongs to the people not the Government, it is the people who have paid for the NHS and made it what it is today, how do they have the right to sell something that is not theirs, and without our say so. This is criminal and should not be allowed. Hands off our NHS it is needed for the poor and needy not to line pockets of the elite. Hi Leoni, the NHS is not for the poor and needy – although that’s what we’ll end up with it being if we carry on in the current direction of travel. The NHS is designed for everyone who needs it. Clinical need, not the ability to pay, means that rich or poor will be treated as human beings, not as walking bank balances. If the NHS doesn’t refuse the poor it equally doesn’t exploit the rich. Cameron does not have the right to sell off the NHS. If he does then we say we did not agree and as the people declare the contracts null and void. The truly stupid thing about all this is the fact that most people in the UK have been so bleeding unobservant for so long (to say nothing about stinking forgetful) that they stand a good chance of getting away with it. that’s what they are up to, waiting to say, things will be better under privatisation….they are the ones whose deliberately starved NHS of cash, and changed the level playing field by their tinkerings…to make sure the people get ripped off by their rich cronies…but there will be some who believe them. Well I am still praying for Independence in Scotland as our NHS is doing fine. If the Cons get back in with Ukip? then we are all in huge trouble and I’d say it would be best just to get to the red button and push it! People who didn’t vote in the last election – here is what you have done!